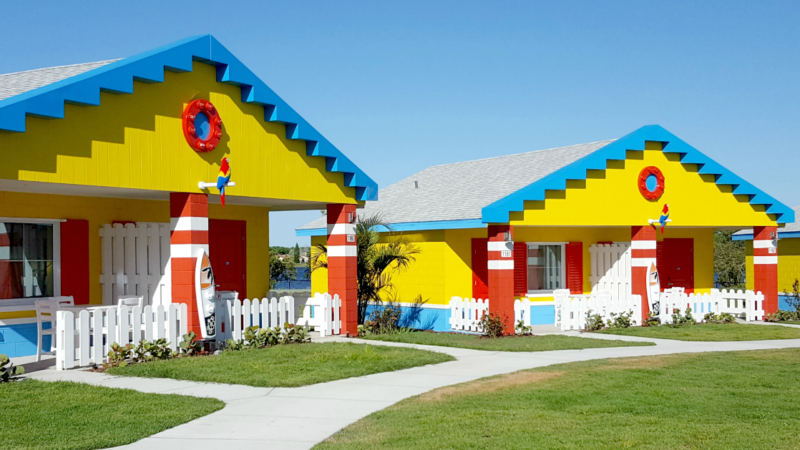 Ever wonder what it would be like to stay in a LEGO house? 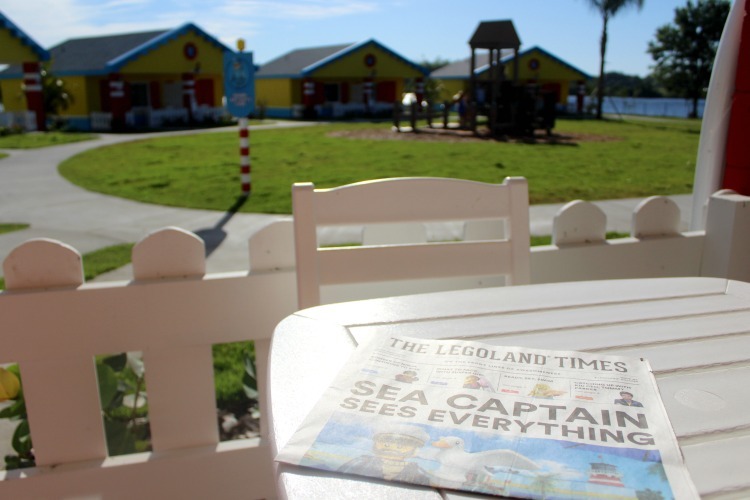 Now when you visit the new LEGOLAND Beach Retreat, you can do just that. 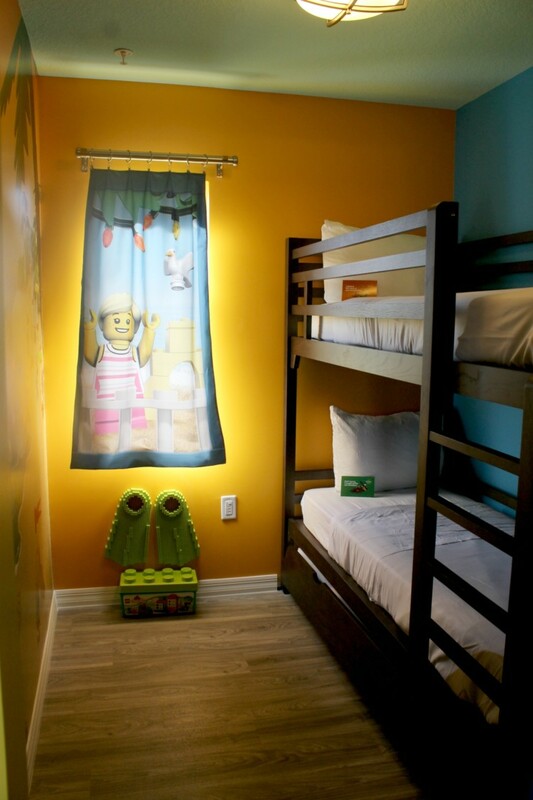 With colorful decor, hideaway rooms, and plenty of places to play, find out why this is the place you’ll want to stay when you take your next LEGOLAND vacation (and why you may need to bring a penny for a coin toss). 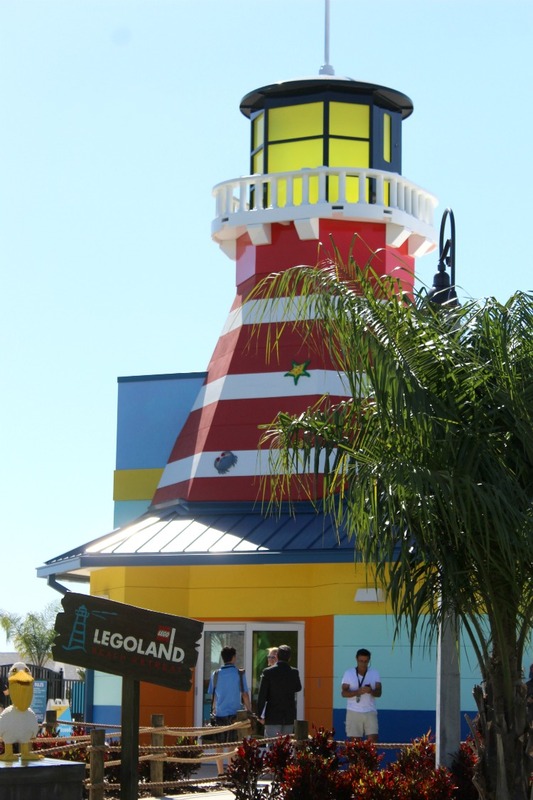 My girls and I were very excited to visit the new LEGOLAND Beach Retreat in Orlando, Florida. 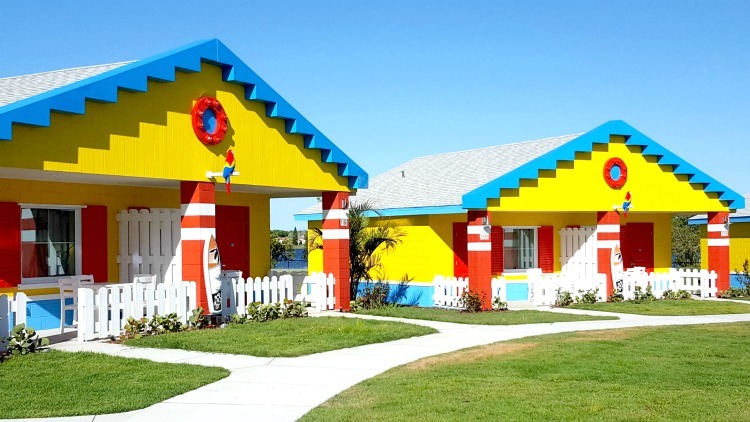 We’d seen pictures of the cute LEGO inspired bungalows and couldn’t wait to check them out in person. Not only that, this hotel featured a swimming pool filled with LEGOS and numerous playgrounds around the property, perfect for a family vacation. Unlike LEGOLAND’s Florida Resort, it’s not walking distance to the park. Though only 3/4 of a mile away, you’d have to cross a busy road to get to the entrance. However, complimentary transportation is provided. Rates start at $135 plus tax per night and vary by season, date and availability. 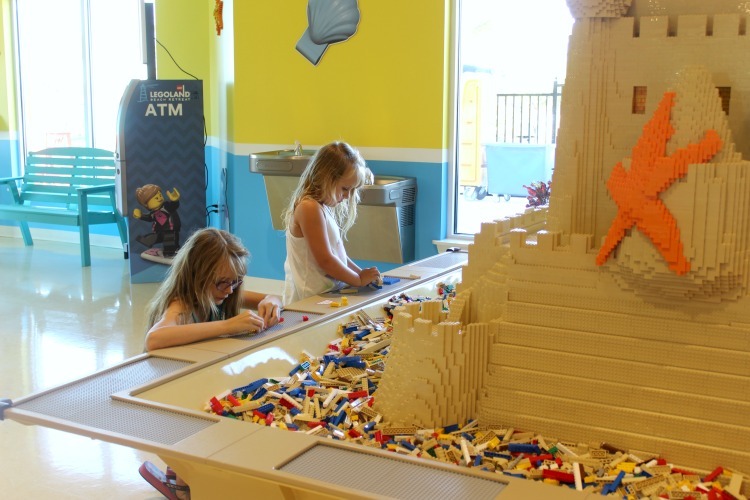 Packages that include LEGOLAND, Florida theme park tickets are also available. The first thing I discovered when we arrived was that you check-in from the comfort of your own car. I didn’t have to go through the usual routine of dragging excited kids through a hotel lobby and trying to keep them entertained while I checked in. When you pull up to the window, they take your info, then give you a key with a map to your bungalow. Walking through the property, I noticed a lot of attention to detail. Special touches like parrots perched on the front of each bungalow and lights with nautical themes added a little something extra. The buildings were colorful, bright and cheery and made us feel like we were walking into our own little LEGO world. Each group of bungalows forms a circle, with a playground in the middle and lots of space for running around. Since the bungalows also featured cozy front patios, parents could sit out front and relax while the children chased each other around. One of the things my girls loved most about the property was the pool. 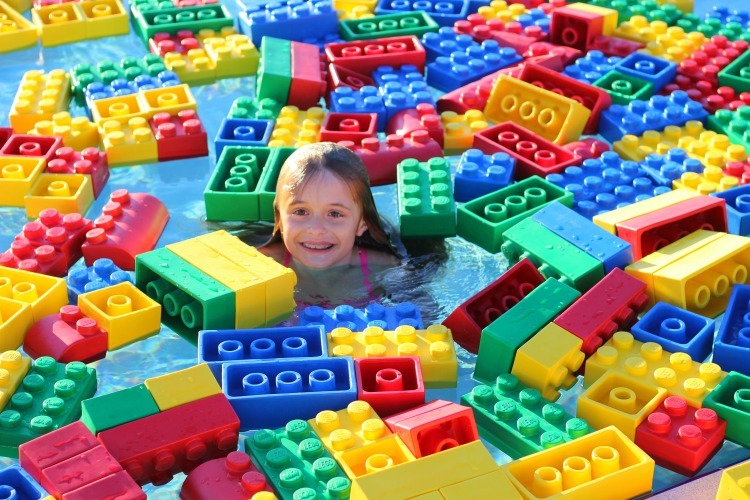 They had fun splashing around and playing with all the floating LEGOS. I felt safe letting the kids swim without me while I watched from the sidelines. There were several lifeguards on duty and bright yellow life jackets are readily available for the children who haven’t quite mastered their swimming skills. 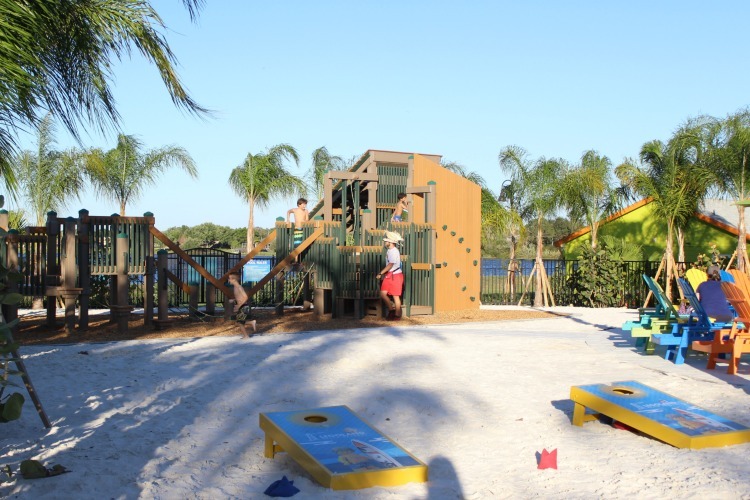 The pool area also features a sandy area for building sandcastles, bean bag toss games and a playground. When they were finished swimming, the girls played on the playground for another hour, giving it a big thumbs up. We already loved the outside of the bungalow and as soon as we opened the door, we were greeted by a huge LEGO mural covering the wall. Again, there was a lot of attention to detail, right down to the light fixtures and the LEGO sea creatures on the wall. 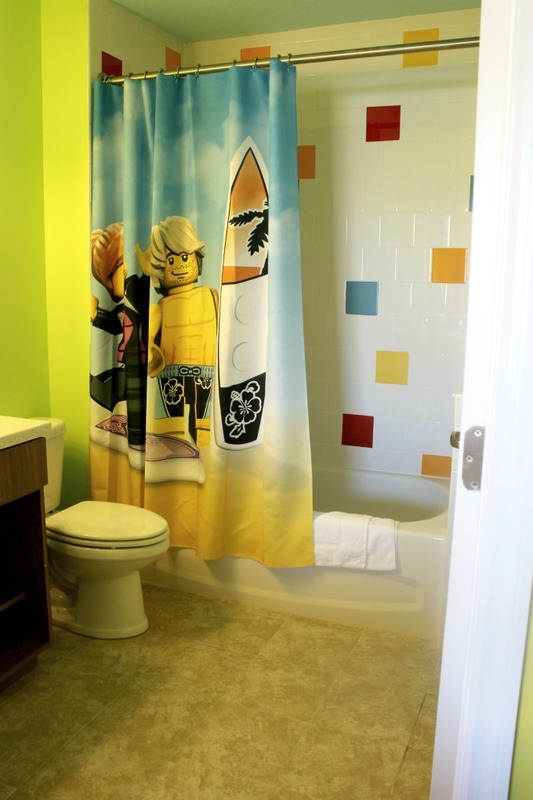 The bathroom kept with the LEGO theme and was also colorful and bright. We were so busy checking it all out that it hadn’t even occurred to me to wonder where the kids were going to sleep. My oldest daughter noticed the “secret curtain” first. 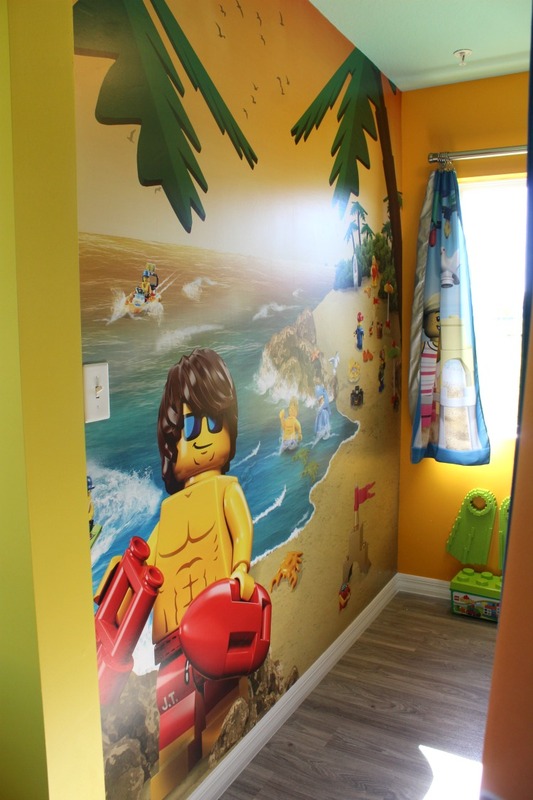 She pulled it back to reveal a fun room for the kids, with bunk beds and a trundle, another big mural and most exciting of all, a box of LEGOS to play with! I loved that the mural featured a LEGO guy channeling his inner David Hasselhoff, even if my kids have no idea who that is! The girls really loved their room! The only problem we encountered was that they both wanted to sleep on the top bunk, causing a minor squabble. Luckily, with just a flip of a coin and some old-fashioned bribery, everyone was happy again. While the bungalows weren’t particularly roomy, they also didn’t feel cramped and there was plenty of space to move around. The only thing that was missing from the room was a desk. While I usually work after the kids go to sleep, there was no place to do that here. The patio table would be great during the day but it’s not practical at night. However, the bed was super comfy and made for a good back-up work area. I discovered a big treat when I woke up the next morning. 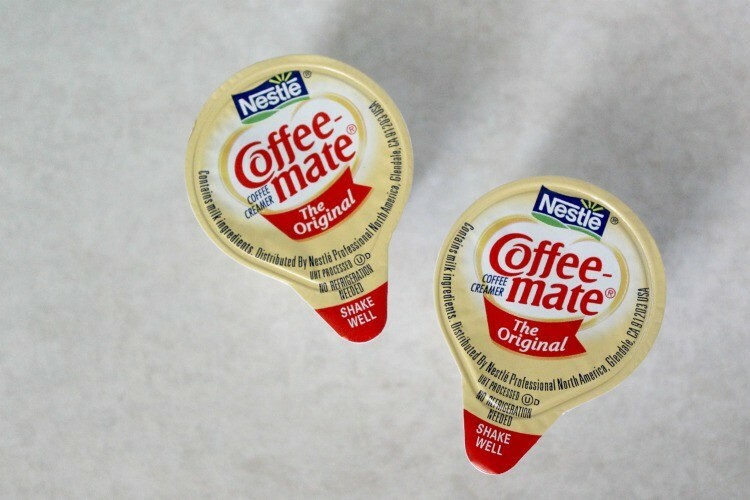 When I made my coffee, I found that the packets contained real creamer, not the powder that you usually get. Sometimes the little things mean a lot and having real creamer in my morning coffee got my day off to a nice start. Other than the creamer, the room had the usual amenities that you’d find in most hotels…refrigerator, safe, etc. 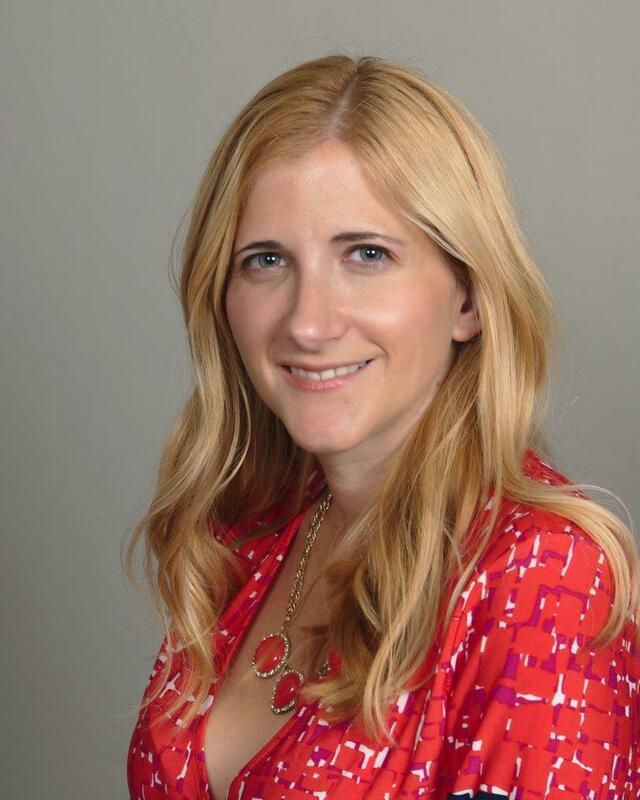 TravelingMom Tip: If you use a lot of shampoo, you may want to bring your own. The hotel provided shampoo but they were pretty small and there was nothing left after I washed both girls’ hair. I’m sure they would provide extra but sometimes it’s easier just to bring a bigger bottle. There were two options for dining. Bricks Beach Bar has food, drinks and cocktails that you could either enjoy inside or by the pool. 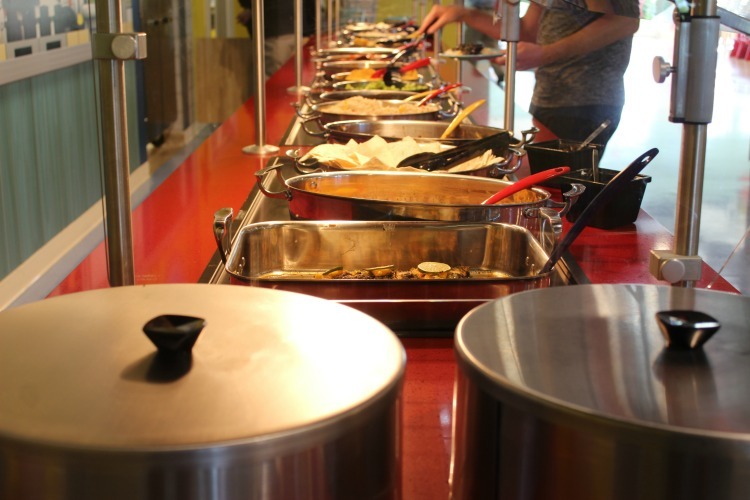 For a full meal, Sandy’s Castle Restaurant is where you’ll find the free breakfast buffet, as well as entrees, sides and desserts for lunch and dinner. 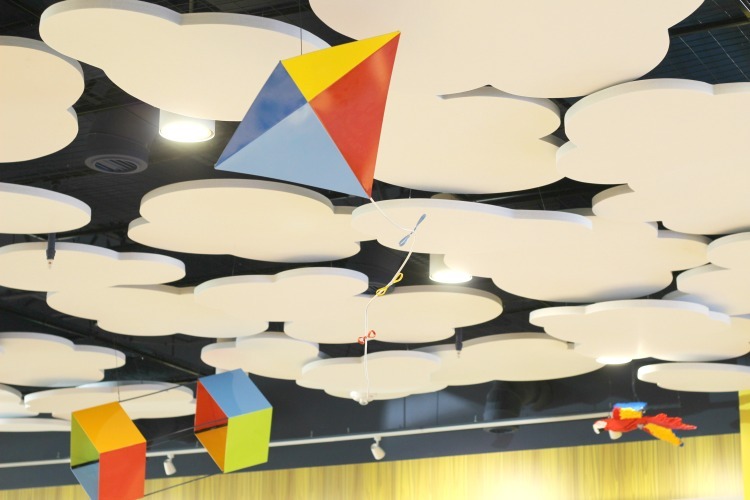 I thought the whimsical ceiling covered with clouds, birds and kites was a nice touch. The food isn’t fancy but we were all able to find something that we liked and enjoyed our meals. The girl’s favorite thing about the restaurant wasn’t the food at all. It was a giant LEGO building area at the entrance. For two girls who kept complaining about how hungry they were, they seemed to forget all about food once they saw the it. For the parents, a full bar is available next to the LEGO table. Moms and dads can enjoy a mixed drink or a glass of wine while the kids play. I’m normally more of a wine drinker but when I saw the Fish In A Bag cocktail on the menu, I had to give it a try. 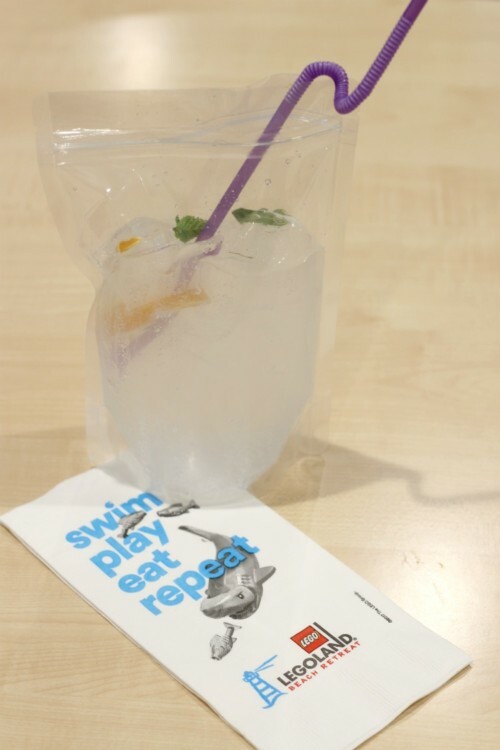 Made with Malibu rum, orange vodka and sprite, the bartender described it as a Capri Sun for adults and it was pretty tasty! The restaurant, pool and shop were centrally located and easy to find under the big lighthouse. Our bungalow was a little further out but it was easily walking distance. Overall, we had a fantastic stay. The bungalows were adorable, the pool was a lot of fun and for a hotel, there’s was plenty for the kids to do. 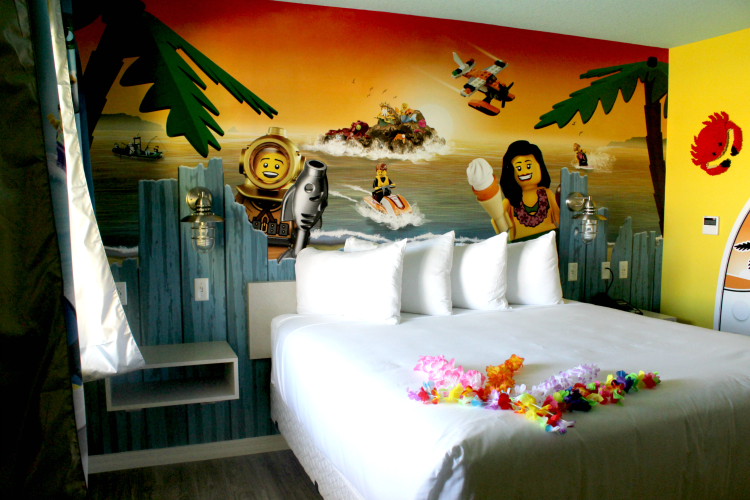 If you’re planning a trip to LEGOLAND, Florida, this hotel is a great option; my girls are already asking when we’re going to visit again! Great photos! 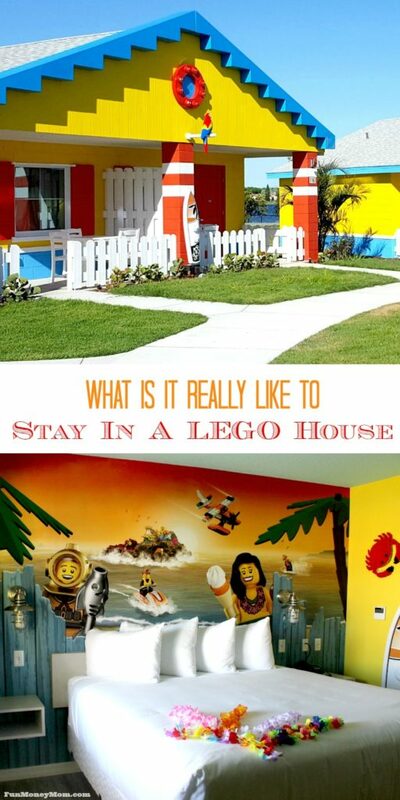 We loved staying in the LEGO bungalows too! Thanks! It was great to see you there! As a single mom on a tight budget, we don’t get to travel often. When we do, I look to articles and reviews to help guide me plan the best adventure I can. Over the years I have read hundreds of articles and reviews and yours is by far the most helpful I have ever read. First, it is well written. It is clear and concise. You provide your thoughts on the property and how your children felt about the property. You point out your likes/ dislikes. The location of playgrounds, pools and restaurants are given, as well as great tips (ie shampoo & coin toss). I also love the photos you provided in your article/ review. 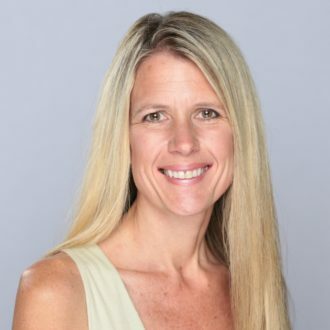 Kuddos to you for writing such an excellent article! Thank you for sharing your experience! 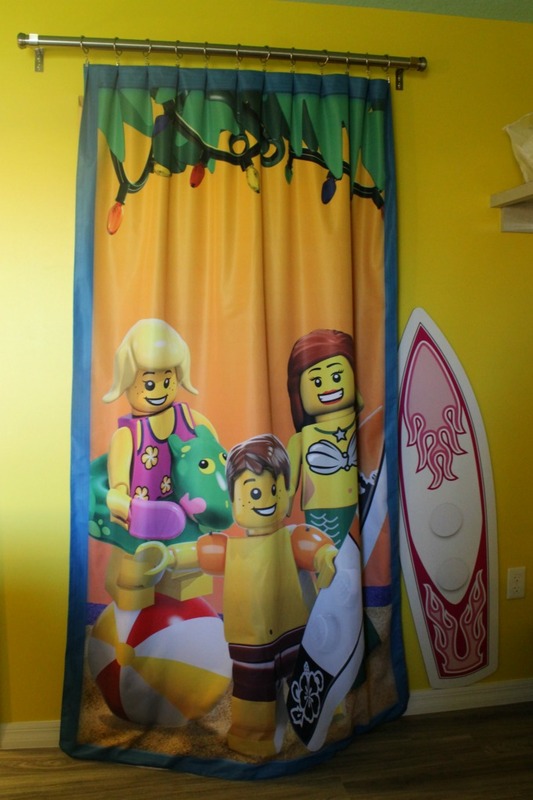 I can’t wait until I am able to bring my son and his friend to the Legoland Beach Retreat! Thanks so much for taking the time to comment! Like you, I also spend lots of time online, trying to find the best deals on fun places to stay! I’m so glad that you found my review helpful and hope that you get the chance to visit the LEGOLAND Beach Retreat sometime soon! And I thought the Lego lifesize Christmas scene complete with fireplace in Roanoke VA was spectacular — now I know to book a house! It really was pretty amazing! Now I want to see a LEGO lifesize Christmas scene too! Thanks for awesome article! I would love to check into taking my daughter and nephew. Thanks! I hope you do get a chance to visit. Both my girls, 9 and 5, absolutely loved it and are already asking when we’re going back. Supremely jealous of you right now! My youngest has some extra needs and both boys have sensory issues. This seems like the perfect place for us to stay, looks very relaxed and comfortable. The secret room would be a massive hit with my kids as well! Not sure when we can afford a trip to Florida – we live in Vancouver, BC. But when we can go this is a place I can imagine staying at. That would be quite a distance to travel but hopefully you can visit sometime soon. It was very relaxed and you can do as much or as little as you’d like, which sounds like a good fit for your family. Great review can you stay at the resort without tickets to the park? yes you can and no minimum night stay. Legoland has it down when it comes to hospitality and their target market. We loved the hotel attached to the California Legoland. This looks like a fun similar but just enough different option in Florida. Great review. Thank you! I agree…they really do a great job taking care of their guests. The Florida park also has a hotel where you can just walk out the front door and be in the park. Both the hotel and the bungalows have their advantages. Those bungalows are so cute. My kids would absolutely love this experience. I wish they had these at the LEGOLAND in San Diego. Are you allowed to take the legos in the room home with you at the end of your stay? Are you allowed to take the legos in the rooms home with you at the end of your stay? My kids would have loved that but unfortunately the answer is no. Would there be enough room in the bungalows for a 4th child to sleep on the floor or share a bed? 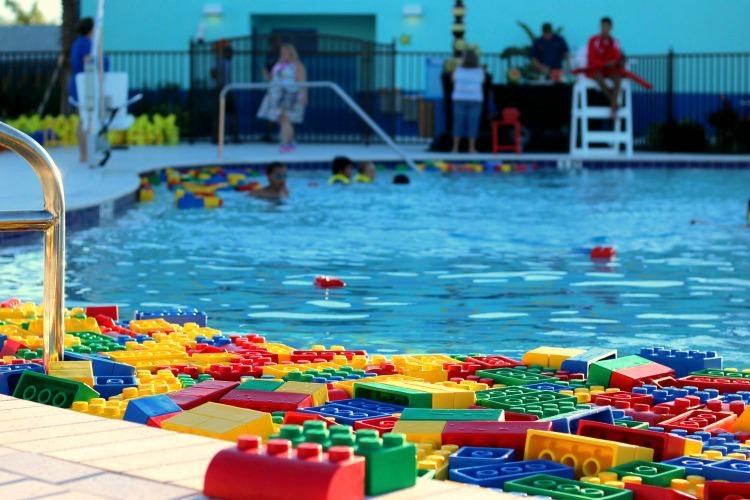 I saw on the Lego website that the pool hours were 9am-12pm and 4pm-9pm(?). I’m just wondering if this was the case. We will be spending at least 2 full days at the hotel and I don’t love the idea of the pool closing in the middle of the day.